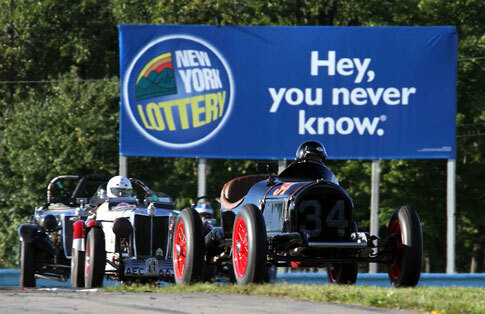 The SVRA U.S. Grand Prix at Watkins Glen is one of our favorite events of the year. 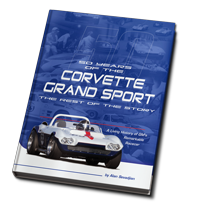 In 2013 we brought 5 cars; Tony Parella's 1934 Indy car, his 71 Twizzler Corvette, his 2006 #43 Dodge stock car, Jody O'Donnell's 1969 Corvette and Dan Ruehs's beautiful 1959 Corvette. We were short two regular crewmen and we knew we had our work cut out for us, so we left our black #38 car at home in order to better concentrate on these customer cars. In the end, even without the #38 car, it proved to have been too many cars, too many sessions, and too many different classes for too few of us to do our usual professional job. 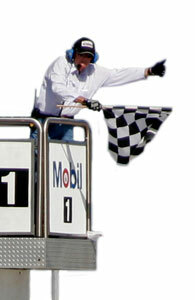 This would be the second time out for Tony's stock car. We didn't get a chance to test the car before Rockingham or Watkins Glen. The first run ended with a shredded tire, thanks to the incredibly abrasive surface at Rockingham. When the tire came apart it took out the right front fender. The car was repaired in Charlotte and delivered to us at Watkins Glen. 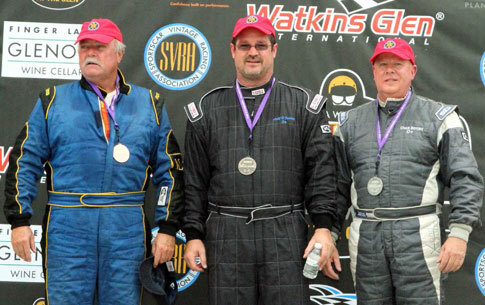 SVRA Group 10 is a very competitive class, and the cars up front are all professionally prepared and professionally driven. 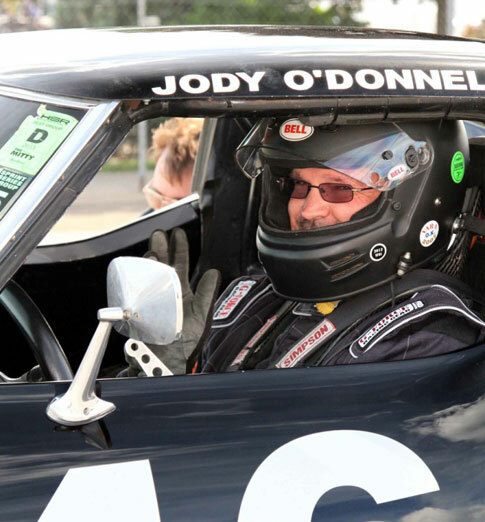 On Saturday, Tony did well in the Dodge, in spite of a nagging understeer. Tony only ran a couple of sessions due to his duties as SVRA CEO, and we didn't have enough sessions to fix the handling. Tony chose not to run the feature race on Sunday after a serious crash in the preceding race required helicopter evacuations for a driver and photographer. We had installed a new engine in the Twizzler car after a low oil pressure session at the previous race at Rockingham. Edward was driving when the new engine inexplicably exploded on the back straight. This will be the last race for the Twizzler oiling system. It will be replaced by a 5 stage dry sump system that will run all year! It was great to see the prewar Indy car actually race. Tony drove the hell out of it! It was a real pleasure to work with Dan Ruehs. He built this car from boxes of parts, and it is really nice! 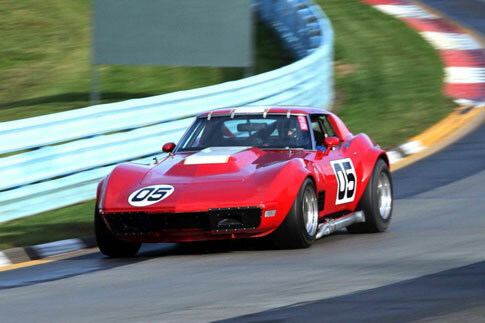 Jody came to Watkins Glen to win. 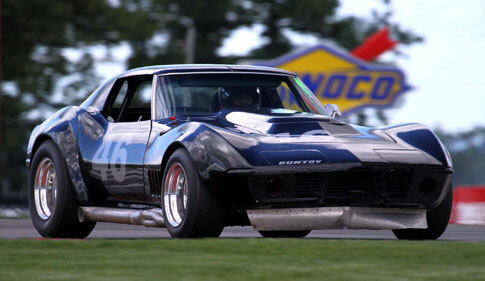 He has been a top five car for the past couple of years, but at Watkins Glen in 2013 there was no one faster. Jody started from Pole position and won the Saturday race handily. On Sunday an oversight by a Duntov crewman caused Jody to pull off the racing surface while leading, half way around the first lap. He was completely off the pavement waiting to get picked up when a Porsche drove off course and clobbered Jody's car into the Armco. Every body panel was involved. Right result, wrong day. 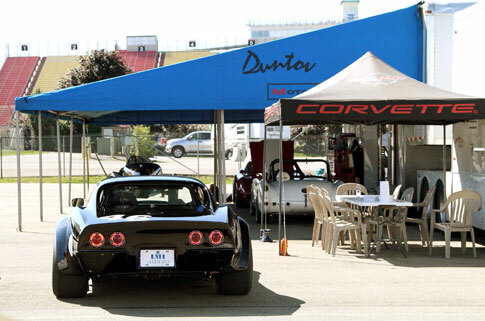 Duntov fixed Jody's car at no charge, and had it ready in time for COTA.